This applies to all premises where there is no supply i.e., electricity supply lines have not been installed. A soft copy of National Identification (I.D) or Passport for Non-Kenyans (PDF, MS Word). A soft copy of route sketch leading to premises where supply is required. A soft copy of Certificate of Registration. A Scaled site plan for Industries, Housing Estates, shopping malls etc. SAIFI is measured in units of interruptions per customer. It is usually measured over the course of a year, and according to IEEE Standard 1366-1998 the median value for North American utilities is approximately 1.10 interruptions per customer. SAIDI is measured in units of time, often minutes or hours. It is usually measured over the course of a year, and according to IEEE Standard 1366-1998 the median value for North American utilities is approximately 1.50 hours. Calculated Values for SAIFI and SAIDI for Nairobi. SAIFI is measured in units of interruptions per customer. It is usually measured over the course of a year in accordance to IEEE Standard 1366-2003. Stage 1 - Download our new application form, fill it and submit to the nearest Kenya Power office. You can also submit an online application. Stage 2 - Upon receipt of your application, our technician will visits your site to assess your requirements for preparation of cost estimates after which a quotation will be sent to you. You will need to submit copies of your ID/PIN as may be applicable. You can also use the form below to cancel your electricity supply contract with the Company. You can now spot a genuine Kenya Power staff member. First, ensure that the person you see in front of you is the same person whose photo appears on the staff ID tag. 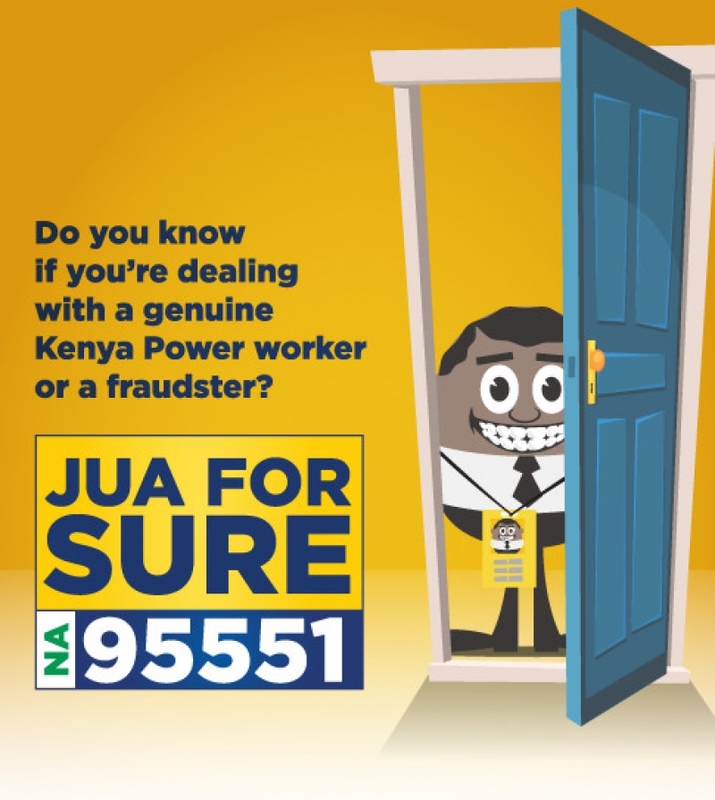 Then, simply SMS the staff number on their tag to 95551 to confirm. If the staff member is an employee, add an E infront of their ID. If the staff member is a contractor, add a C infront of their ID. E.g. ekp1111 or ckp1111. Don't be conned. Jua for sure. CIO 100 Annual Symposium and Awards now in its fourth year is by no means East Africa’s premier ICT networking and awards event. The event presents a fertile platform to network, learn and thoughts and ideas with the regions IT industry leaders. How much power can I buy? You can buy as much power as you wish.